Expo Arte is a bespoke and exclusive jewelry shop with exceptional designs, using gold, silver, diamonds, and, semi-precious stones. Founded over 40 years ago by Master-Goldsmith Anne-Mette Høisæther, the gallery not only offers exclusive pieces but also helps clients realize their vision: redesigning old jewelry, engraving family crests, and consignment sales. Anne-Mette Høisæther career highlights include designing clothing and jewelry with Nora Farah, working with Einar Hareide, the designer of the SAAB 9-5, and collaborating with artist Ferdinand Finne on jewelry, following his book, “Blå Elefant” (Blue Elephant). 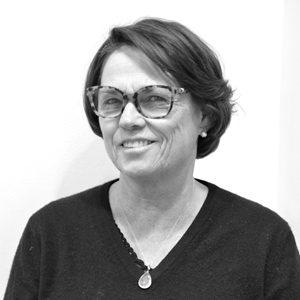 In addition to being a Master Gold-Smith, mentor and jewelry design instructor, she has, for a number of years, delivered jewelry to Queen Sonja of Norway and performed assignments for the Norwegian Royal Family. Expo Arte is especially known for distinctive designs that combine gold with brilliant COLORiT® ceramic (pictured on the left) and Kaupang Jewellery collection (pictured on the right). Working in close cooperation with the Cultural History Museum in Oslo, Anne-Mette, working under an exclusive commission, replicates jewelry from the Viking age. Kaupang, in southern Vestfold, is the largest Viking excavation field in Norway in recent times. The artifacts inspire many of the designs. Expo Arte welcomes customers from all over the world.